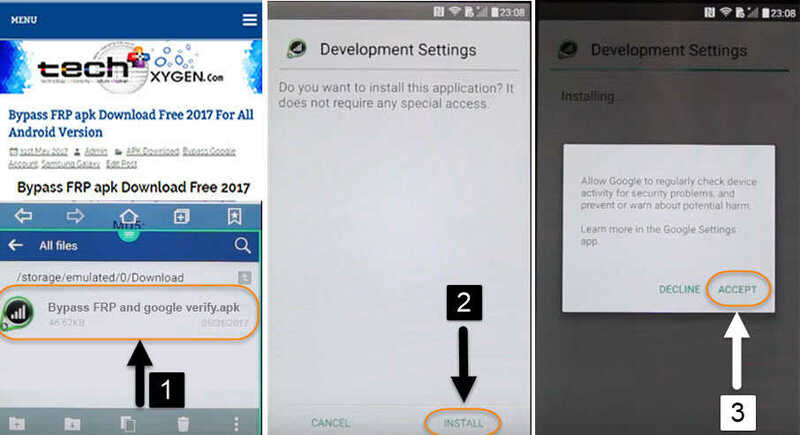 Bypass Google Verification on LG Android devices with this new method of released in 2018. 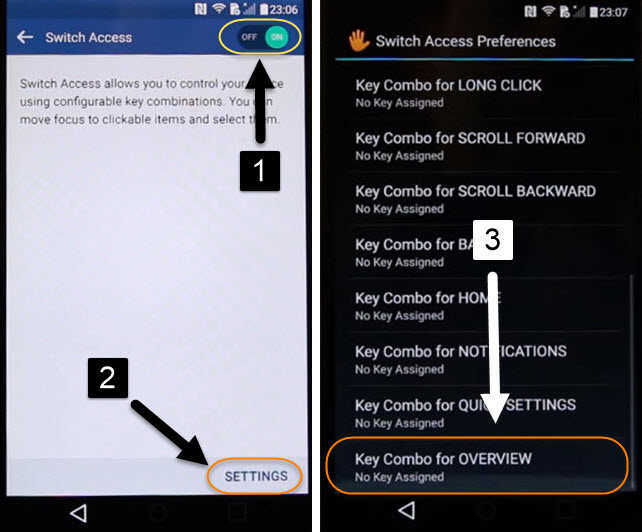 This is the best and easy guide to unlock and remove FRP lock from LG android devices. Working perfectly on LG V10, LG G5, G4, G3 and many other LG android smartphones and also in LG tablets. 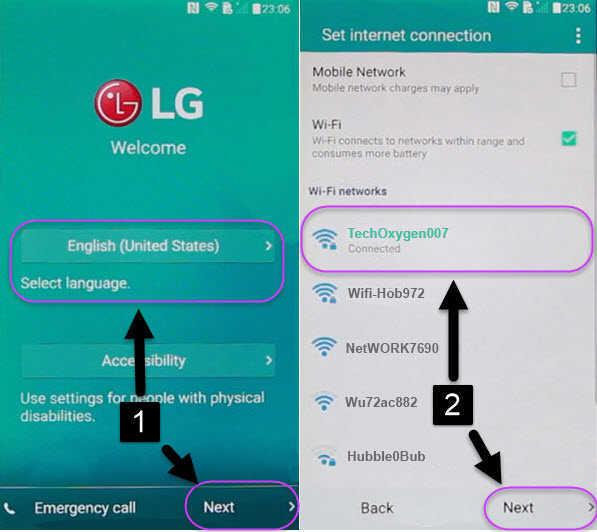 This guide requires you to connect with the WiFi internet connection and FRP bypass apk which will help you to remove FRP lock from your LG device. Follow each and every step very carefully to bypass Google Verification on LG android devices. 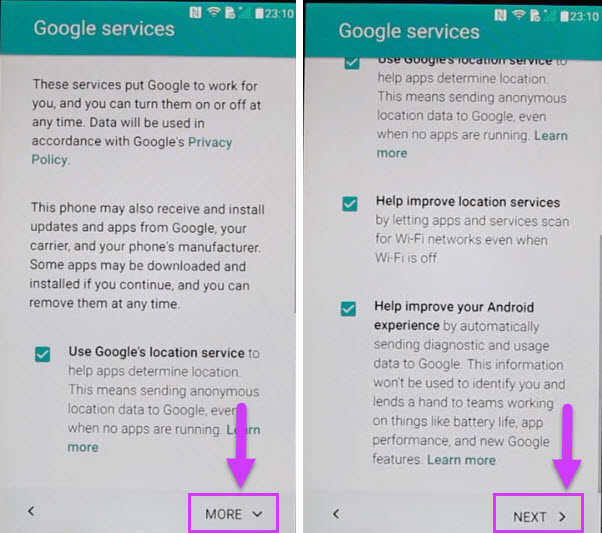 We’ve attached image of every single step in this guide, so that you can easily apply while bypassing google verification from your LG devices. 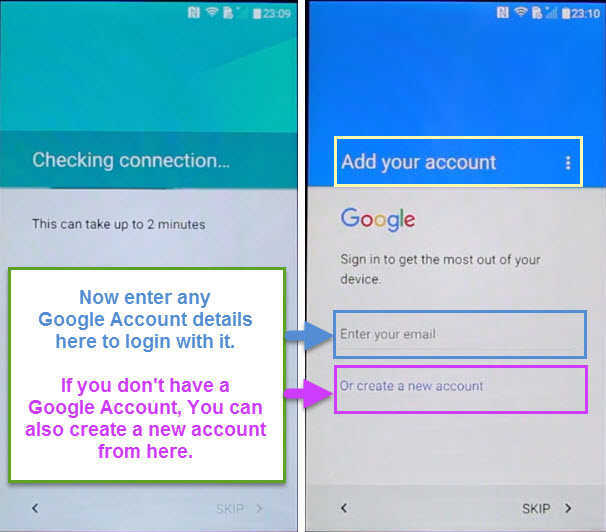 There are 3 more free guides available on our website to bypass google account verification on LG, you can apply any of these 3 free methods. 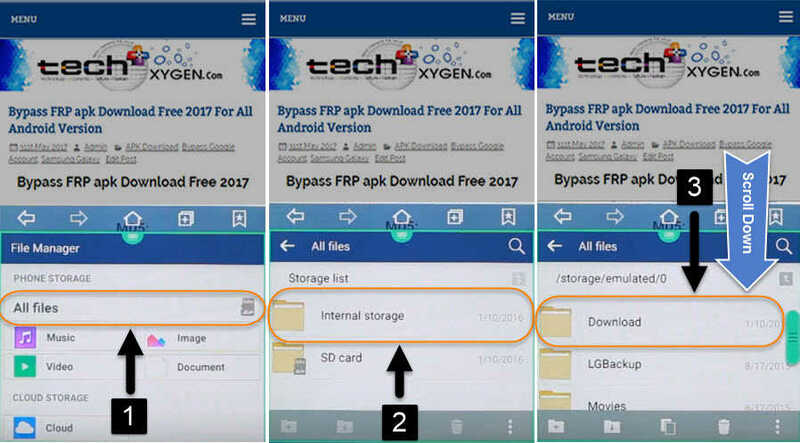 Each method is having its own way to deactivate FRP lock from LG devices, you can use other methods if this one doesn’t work for your device. 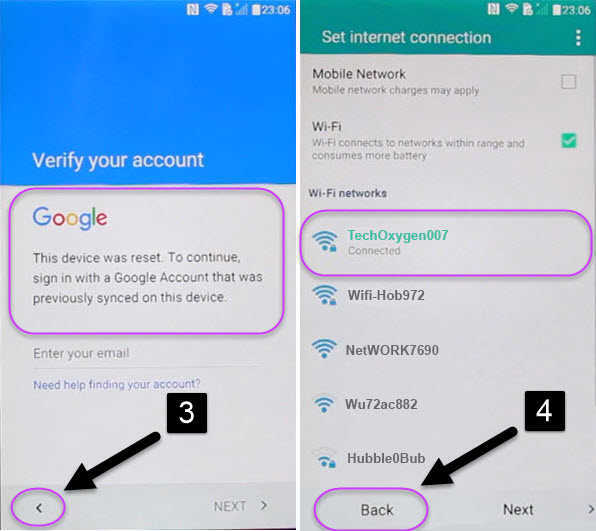 and on “Google Account Verifying” screen hit back button < Make sure the phone is connected with Wi-Fi then again hit back<. 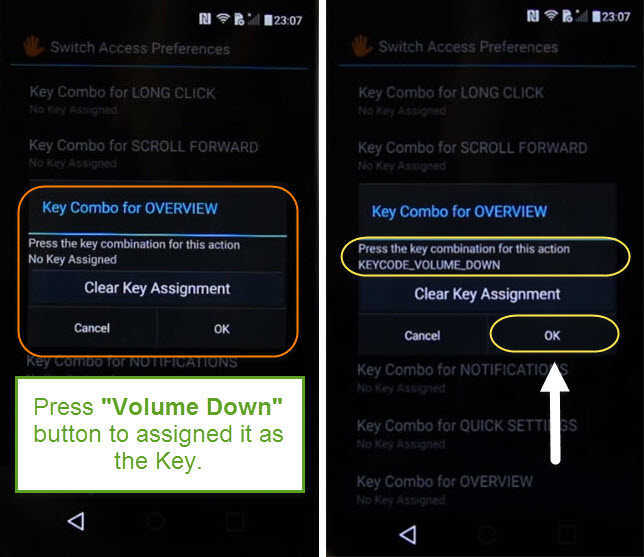 Make sure it is turned ON, then Settings > scroll down to the bottom and tap on Key combo for OVERVIEW. Press Volume Down key to assign for this process > then hit OK.
Go back<, back< again and select “Vision”. 3. 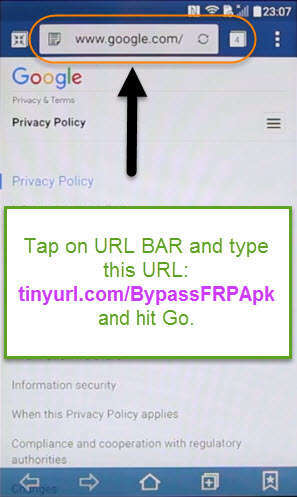 This is gonna launch the internet browser, tap on the URL bar and type this URL: “tinyurl.com/BypassFRPApk” then scroll down to download the FRP bypass apk for LG. 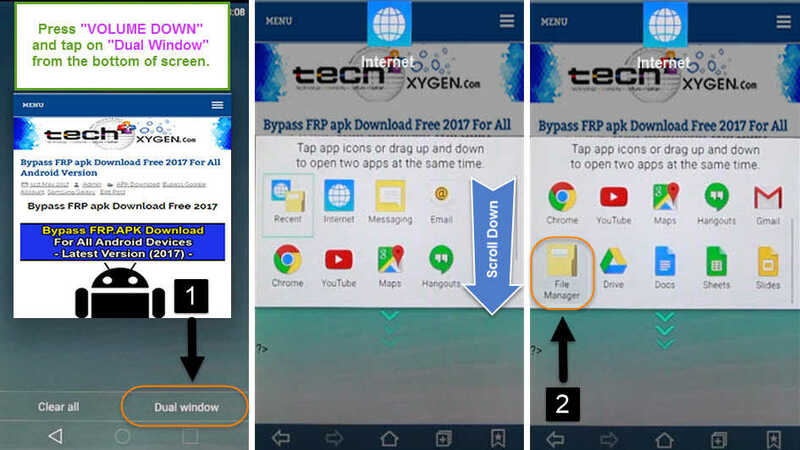 Once the download completed, Press the Volume Down button and hit Dual Window and scroll down then you should be able to launch the File Browser. Inside File Browser, Go to All Files then> Internal Storage scroll down and select Download folder. 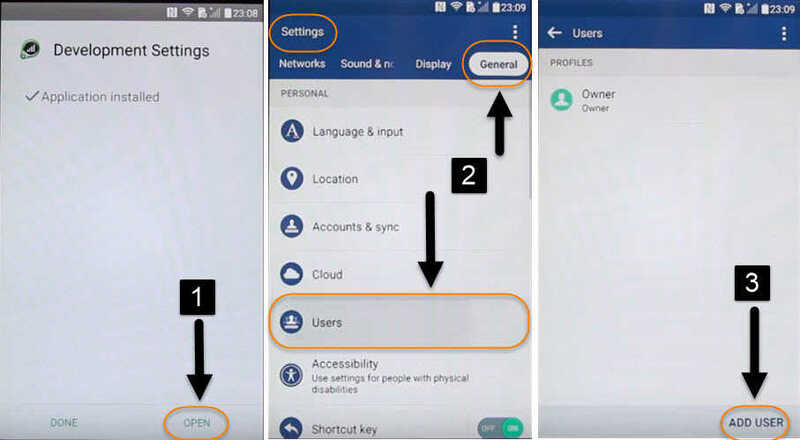 Hit Open>, It will open the Settings of your phone. 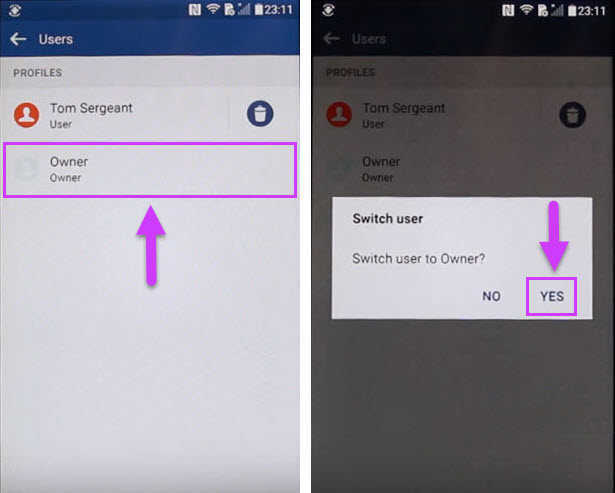 Now go to General> tap over Users, ADD USER> again hit on ADD USER>. 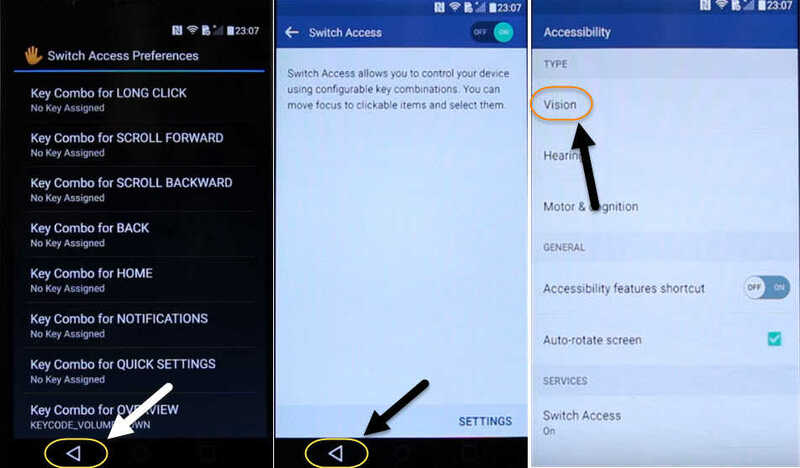 Select SET UP>, Now it will start switching to Google Account where you can set up a new User on the device. Hit Next> again NEXT> and this time it will let you to sign in with any Google Account. 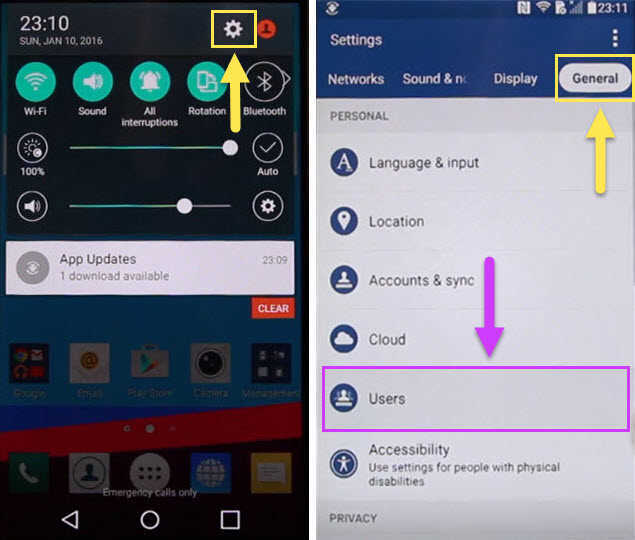 Last 2 Steps to Bypass Google Verification on LG V10, LG G4, LG G3, LG G2 and other LG Devices. 5. At Add your Google account screen, Here you can enter your own google account. If you don’t have one, you can also create a new Google Account and then sign in with it. After signing in, Tap More> and Next>, Vila! Now you are in your Phone again. 6. 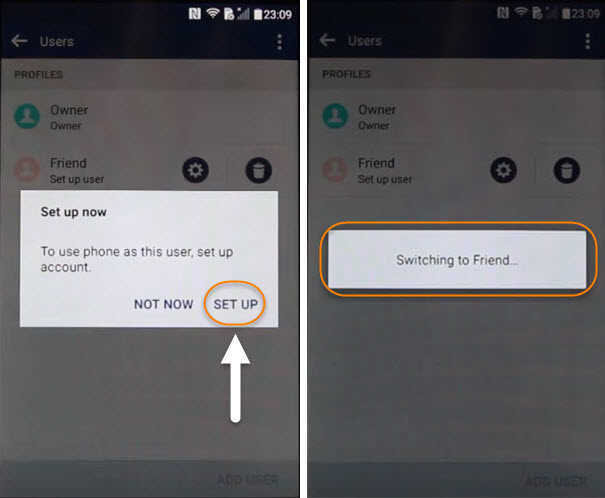 Now go to Settings> then General> Users> now this time you need to switch it back to Owner, Hit Owner> and YES. Just after that, Go back, scroll down to the bottom and hit Backup and Reset. 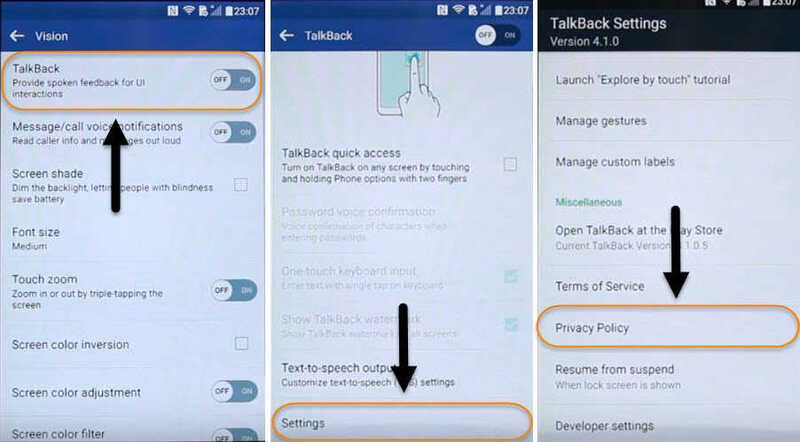 Scroll down and select Factory Data Reset> Reset Phone> and Delete All> finally hit OK to start this resetting operation. 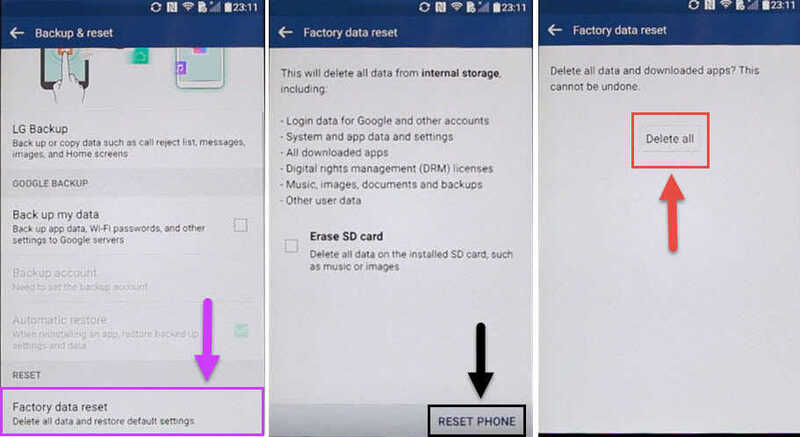 See, its that easy to break the Factory Reset Protection or bypass google verification on LG V10, LG G4, LG G3 and other LG Devices. 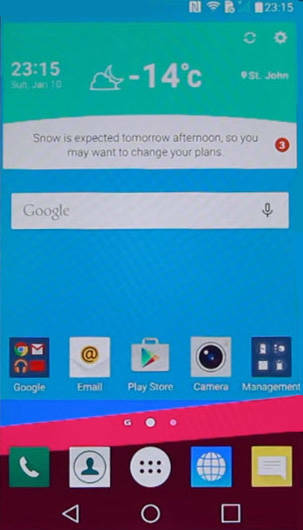 You’ll be able to set it up exactly normally again and you won’t have Factory Reset Protection (FRP) on the device. 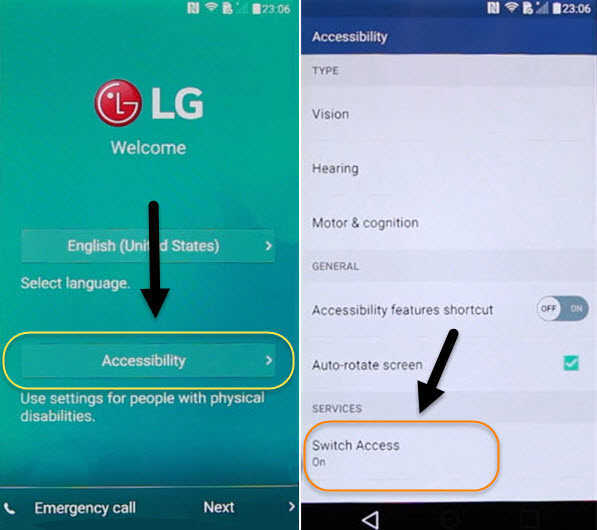 This is the complete guide to bypass google verification on LG V10, LG G4, LG G3 or LG G2″ and it works for all other LG smartphones. 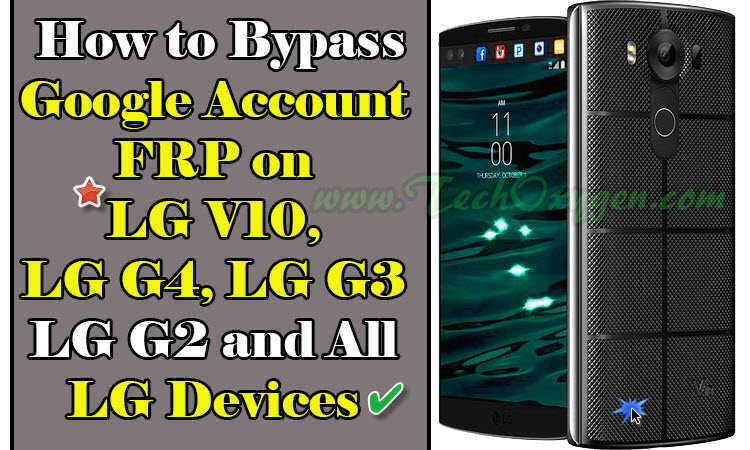 Use this guide if you can’t login at the Google Account Verifying Page ‘bypass Google Account from LG V10, G4, G3, G2 and other LG phones’.